The recent flash floods in Iran have caused hundreds of millions of dollars of damage to Iranian agriculture, according to an official on Thursday. The head of the agriculture ministry’s crisis management, Mohammad Mousavi, estimated that the losses to the agriculture sector are 47 trillion rials (about $350 million) so far. The recent flash floods in Iran have caused hundreds of millions of dollars of damage to Iranian agriculture, according to an official on Thursday. The head of the agriculture ministry’s crisis management, Mohammad Mousavi, estimated that the losses to the agriculture sector are 47 trillion rials (about $350 million) so far. This was in response to a question from the speaker of parliament Ali Larijani, who was questioning whether government funds would be able to compensate communities and farmers. The Iranian government had previously sworn to citizens – especially farmers – that their losses would be compensated, but Larijani said that the New Year budget would not cover the damages and that the government should seek other resources. The county’s operating budget is already stretched thanks to dropping oil revenues as a result of US sanctions. There are roughly 1,900 cities and villages, in at least 26 of Iran’s 31 provinces, that have been hit by floods since March 19, with locals reporting over 200 deaths, aid agencies struggling to cope, and hundreds of thousands evacuated without adequate shelter. Many roads are blocked by rising water, mudslides and rockslides, with flights and trains, also affected. Meanwhile, President Hassan Rouhani has been accused of mismanaging the emergency response and several ministers were summoned to parliament on Sunday to explain why life-saving preventative measures were not in place. The Revolutionary Guards said that they “were using all their power” to minimise the damages in oil-rich southwestern Khuzestan province, while Iranian drilling companies and other energy firms have also used their pumps to remove water. However, it should be noted that far from protecting the people of Iran, these institutions are more concerned with protecting oil wells. US Secretary of State Mike Pompeo criticised Tehran’s handling of the crisis on Tuesday, saying the “floods once again show the level of Iranian regime mismanagement in urban planning and in emergency preparedness”. The Regime tried to shift the blame to the US, citing their sanctions as the reason that Iran is struggling to cope. However, this ignores the fact that for years before the sanctions, Iran was cutting the budget allocated to disaster relief and allocating it to the suppressive forces instead. 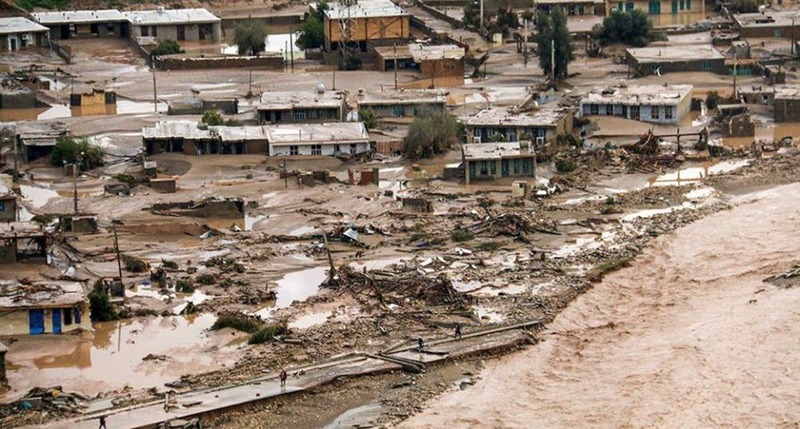 The International Federation of Red Cross and Red Crescent Societies has released around 500,000 Swiss francs ($500,000) as cash grants for 3,000 Iranian families that have lost homes and livelihoods in the floods, but as you can imagine that’s not going far among the people. While heavy floods have devastated several regions in Iran and the people cannot hold back their anger at the lack of relief and the role of the authorities in destroying the country’s infrastructure – which have greatly contributed to worsening the consequences of this natural disaster – Revolutionary Guards (IRGC) and other repressive bodies are mobilized to prevent popular protest movements instead of rescuing the affected population. At the same time, the regime is trying to hide the real number of victims. 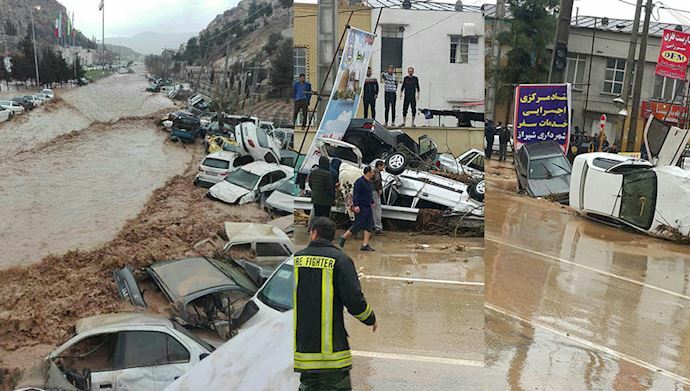 Today, heavy rain and strong winds have caused massive floods in most Iranian southern and western provinces. In Shiraz, part of the city was flooded, including the Ghoran Gate and the Vakil Bazaar, located in the city’s historic center, causing many casualties. As the regime advances the figure of 17 killed, it is estimated that the actual number of victims is much larger and increases every hour. The power of the torrents was so much that hundreds of vehicles were washed away. The obvious negligence of officials has made mullahs’ Member of Parliament Kouroch Karampour say that those responsible for the mismanagement of the crisis must be brought to justice. This is not the first time that Shiraz is facing heavy rainfalls. However, in recent years, the non-regulatory construction of roads and buildings by the IRGC and other bodies of the regime have resulted in obstructing the traditional network of rainwater that protects the city for hundreds of years, and allowed the overflow of water through the main gate of the city. The residents of Shiraz insist that provincial authorities have not taken recent weather warnings seriously and have not evacuated residents or banned traffic through the Ghoran gate. In addition to the province of Fars, dozens of people have also lost their lives or been injured in the provinces of Lorestan, Khushistan, Sistan-Baluchestan, Isfahan, Bushehr, Ilam, Kermanchah, Golestan and other parts of the country. In Sarpol-Zohab, a city hit last year by an earthquake, the floods washed away the tents and prefabs of a population that had already been severely damaged, neglected by the regime. The situation in the city of Ahvaz is critical, with a strong flood of the river Karoun. As in Lorestan, where the Poleh-Dokhtar River has overflowed. The President-elect of the Iranian Resistance, Maryam Rajavi, expressed her condolences to the affected population and called the youth to protest against the calamitous management of the crisis by the authorities and to force the regime to make available to the population the resources and the equipment of the IRGC so that they can intervene themselves to prevent other disasters especially at the Karaj dam, in Tehran and in the city of Karaj. Ms. Rajavi affirmed that the mullahs’ regime and its corrupt leaders as well as its Pasdaran Army (IRGC) have intensified to the utmost the effects of this destructive flood through the destruction of the environment, and have rendered the Iranian cities and villages to ruins by plundering the people’s belongings and wasting them in projects of repression, terrorism and war mongering as well as anti-Iranian nuclear and missile programs, depriving them of the least infrastructure to defend against natural disasters like earthquakes and floods. London, 20 Mar – U.S. President Trump said that Iran is defying a U.N. Security Council resolution by carrying out ballistic missile testing, as well as two satellite launches since December. 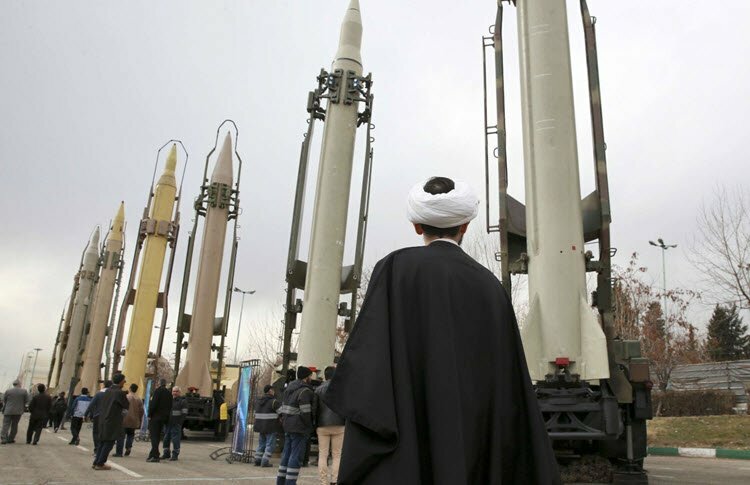 Iran’s missile program and its regional meddling are reasons he cited when he pulled the U.S. out of the Iran nuclear deal and reimposed sanctions last May. According to a Reuters report, a senior U.S. arms control official said at the Conference on Disarmament on Tuesday claimed that Iran’s missile program is destabilizing the Middle East and raising the risk of a “regional arms race” through the provision of such weapons to armed groups in Lebanon and Yemen. The U.N. sponsored Conference on Disarmament is a multilateral disarmament forum established by the international community to negotiate arms control and disarmament agreements based in Geneva. The Conference meets annually in three separate sessions in Geneva. It was established in 1979. While it is not formally a UN organization, the Conference submits a report of its activities to the General Assembly yearly, or more frequently, as appropriate. In a speech to the Conference, Yleem Poblete, the Assistant Secretary of State for Arms Control, Verification, and Compliance for the State Department said, “Iran’s missile program is a key contributor to increased tensions and destabilization in the region, increasing the risk of a regional arms race.” She added, “Iran must immediately cease activities related to ballistic missiles designed to be capable of delivering nuclear weapons, and halt the proliferation of missiles and missile technology to terror groups and other non-state actors.” she also denounced Iran’s support to the Houthi movement in Yemen and to Hezbollah in Lebanon. “We are committed to aggressively countering Iran’s regional proliferation of ballistic missiles and its unlawful arms transfers,” Poblete said, and urged “all responsible countries” to enforce United Nations Security Council resolutions restricting the transfer of missile-related technologies to Iran. She also accused Iran of “pursuing pharmaceutical-based agents for offensive purposes”, but did not elaborate. 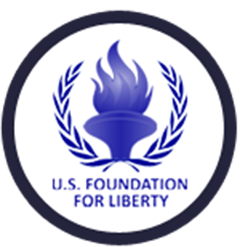 Her remarks were rejected by an Iranian diplomat who called them, “cheap, unprofessional, false, irrelevant and pathetic” and accused the United States of “sabotaging” the Geneva forum. “We should all be truly worried about the U.S. representative’s misbehavior as we all warn that they may turn violent since they lack any human logic to talk and listen in a normal manner as we are used to,” he said. Back in February 2018, Iranian-Canadian professor Kavous Seyed-Emami, the founder of the Persian Wildlife Heritage Foundation (PWHF), was declared to have committed suicide by the authorities, who refused to allow an independent investigation and barred his wife Maryam Mombini, also a Canadian citizen, from leaving the country. Mombini has never been given a reason for this ban. Seyed-Emami’s eight colleagues remain behind bars, without access to lawyers of their own choosing, and suffering from very poor health, including Morad Tahbaz, who has cancer and is not receiving medication and treatment despite promises from officials. 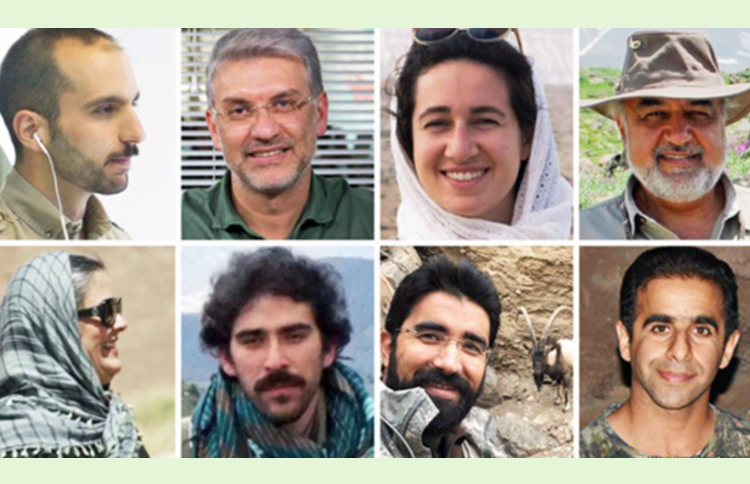 This is despite the fact that the brother of defendant Amir Hossein Khaleghi determined, following extensive studying of the case and the indictment, that their lawyers have concluded that all eight are innocent and must be released. Four are charged with “corruption on earth”, which can carry the death penalty, three were charged with espionage, and one was accused of “cooperating and collusion with a hostile country. Katayoun Rajabi, the sister of defendant Sam Rajabi, said that the families remained hopeful that their loved ones would be released, but advised that the so called judiciary does not care about justice. She said that none of those arrested had done anything wrong, reminding us that while two of them had confessed under torture, they retracted their statements in front of the judge. Yet still, the eight remain in prison and Rajabi does not think that the recent appointment of Ebrahim Raeesi, known for his role in sentencing thousands of dissidents to death in the 1988 massacre, as head of the Judiciary will help matters. Rajabi, who lives in Germany, said that the families of the defendants are actively trying to raise awareness and lobby officials, but the government is often ignoring them. She noted that her letters to President Hassan Rouhani and member of Iranian parliament Mahmoud Sadeghi “received no answer”, so she has contacted United Nations Special Rapporteur for Human Rights in Iran Javaid Rehman and Germany’s Green Party representative on foreign affairs Omid Nouripour who have both promised to act in this case. Reza Khandan, Sotoudeh’s husband, said that she doesn’t want to appeal as it would do no good because of the “unfair” nature of the judicial process. Khandan had previously informed the world that Sotoudeh was being denied access to a lawyer, which is why she decided not to attend the trial. Sotoudeh was charged with “gathering and collusion against national security”, “propaganda activities against the mullahs,” “active membership in an illegal group acting against the regime’s security”, “encouraging people to corruption and prostitution”, “disturbing public order and peace”, “spreading falsehoods to mislead the public mind”, and “appearing without hijab” all for her work defending human rights activists in court. This includes defending the Girls of Revolution Street who took part in anti-forced hijab protests during the uprising that began in December 2017. Iranian law only allows the defendant in cases of a political nature to take a hand-written copy of the verdict against them, rather than giving them a copy. This is an example of the secretive nature of the Iranian ruling system, giving them deniability in the eyes of the world by claiming that the prisoner transcribed it incorrectly. 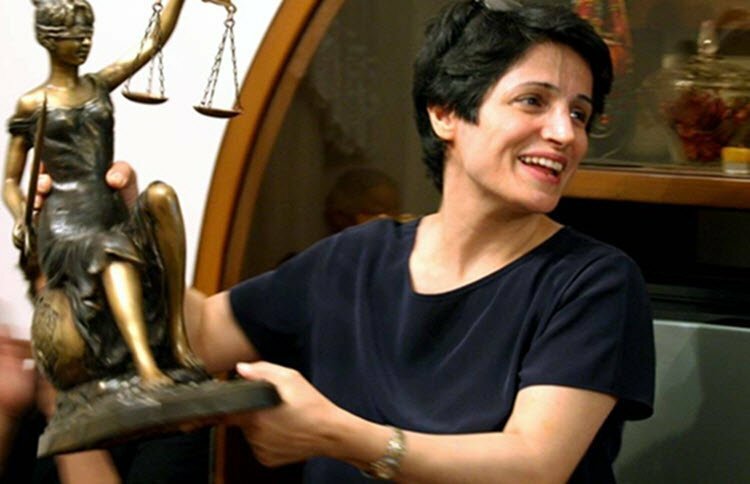 It was previously reported that Sotoudeh would serve 38 years and, again due to the secretive nature of the Iranian clerical ruling system, that might end up being the case as the judge presiding over her trial said that Sotoudeh was already serving seven years in prison. 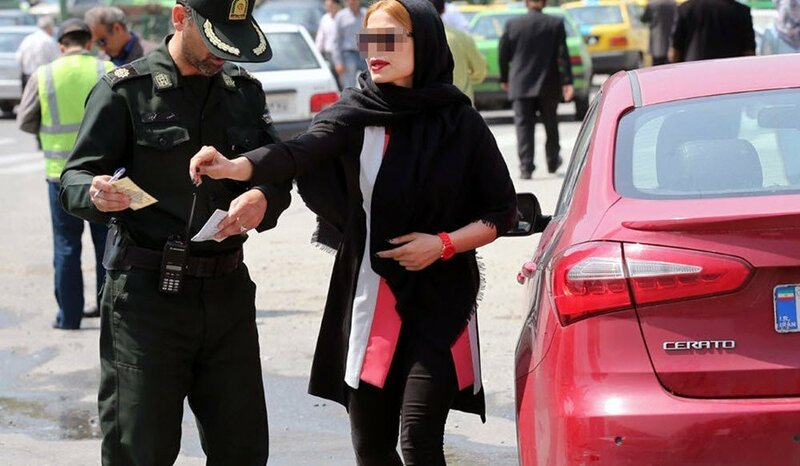 Sotoudeh was arrested for the latter charges on June 13, 2018, when she began serving the previous sentence for espionage. 6 Feb – Iranian environmental activist, Niloufar Bayani, who has been held for more than a year by IRGC intelligence, alleged in a court session headed by Judge Salavati that she was repeatedly threatened and attacked by authorities, and was forced to make confessions. She said the ‘confessions’ were made under physical torture and intense psychological pressure, and that she had retracted all of them after the first round of investigations. 21 Jan – Human Rights Watch (HRW) criticized Iran for “widespread arrests” of protesters and activists in its 2019 annual report into human rights violations around the world, citing specifically the thousands of arrests made during the nationwide anti-government protests in the winter of 2018, as well as the arrests of environmentalists and women who protested against compulsory hijab. In the report, which draws on events from late 2017 to November 2018, HRW also condemned Iran’s shadowy “security apparatus” and “suppressive and non-accountable Judiciary” for their work to suppress human rights. Following these mass arrests of people trying to exercise their freedom of speech, Iran’s judiciary handed down harsh sentences at “unfair trials”. They still fared better than the at least 50 protesters who were arbitrarily killed in the street or the 14 who were tortured to death before their trials; something the Government has refused to investigate. HRW also condemned Iran for creating a list of Government -approved lawyers to deal with “national security” cases, which is how the mullahs often charge political activism. How can a person get a fair trial when the prosecution chooses their lawyer? 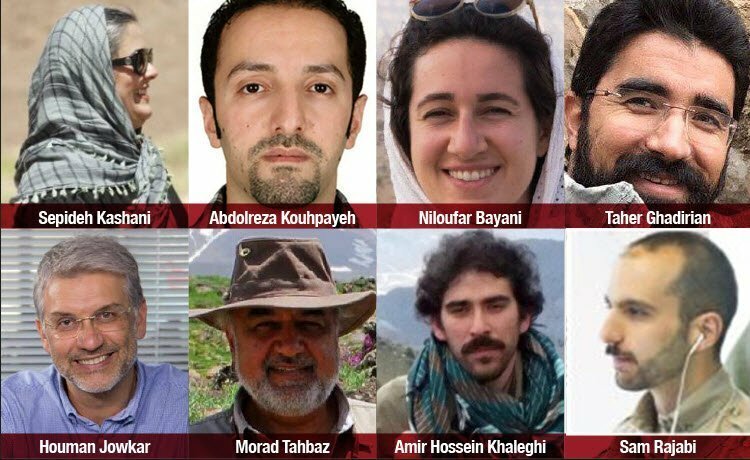 Another troubling issue is the arrest of dozens of environmentalists, whom the Government accused of spying despite the fact that they were monitoring an endangered species with the express permission of the Iranian Government. This included Canadian-Iranian Professor Kavous Seyed Emami, who died under suspicious circumstances in custody. Sarah Leah Whitson, executive director of HRW’s Middle East and North Africa Division, said Iranian officials “blame the world for their own problems” and “refuse to look into the mirror” to discover how their suppression increases dissent among Iranians. The report also condemned Iran for executing at least five juvenile offenders. This report was published just days before Attorney General Mohammad Jafar Montazeri mourned that the Government had been forced to stop brutal punishments like amputations because of international pressure. 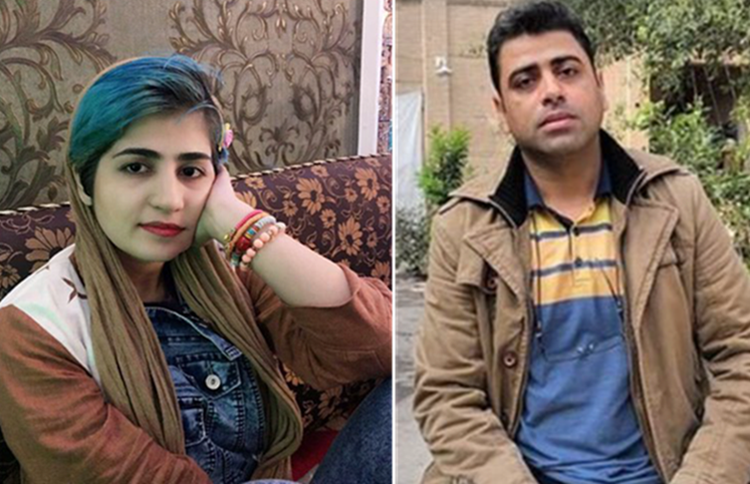 21 Jan – Iranian civic activist Sepideh Qolian and labour leader Esmail Bakhshi, who were tortured during their imprisonment last year, was arrested again on Sunday. Since their release from prison in December, Qolian and Bakhshi, who was initially arrested along with several striking sugar mill workers in mid-November, have been speaking out about their torture in custody. The activists’ case regarding their torture is still open in Susa, southwestern Iran. On Saturday, Iran’s state TV broadcast videos of Qolian and Bakhshi, as well as activist Ali Nejati who is still imprisoned, in which they said that they were not being treated badly in prison and confessed to being linked to a foreign-based Marxist group. Human rights watchdogs have repeatedly condemned Iran for forcing inmates to make “confessions” that are then broadcast on state TV. Qolian had previously said that the torturers forced her to make the video and threatened to release the video if she ever told people that she had been tortured in jail. Following its release, she said she was more determined than ever to expose the government for torturing her. Bakhshi’s defence lawyer denied the Iranian Prosecutor General’s statement that the activists could not have been tortured in prison. He explained that this violates the supposed impartiality of judicial officials, advising that everyone, including the prosecutor, is barred from passing judgements on a case before the court issues its verdict. While more than 1,300 activists and workers in Iran and abroad have signed a petition in support for Bakhshi and other workers, demanding that Bakhshi is given the chance to publicly protest and complain against what happened to him in jail. Amnesty International has exposed the shocking scale of the 1988 Iranian massacre in a new report, which denounces the mass-murders as a crime against humanity, condemns the harassment of those seeking justice, and calls for those responsible to be held to account. In the summer of 1988, 30,000 political prisoners, mainly members of the People’s Mojahedin Organization of Iran (PMOI/MEK), were executed by the Iranian Government on the fatwa of then-supreme leader Ruhollah Khomeini. Their bodies were then buried in anonymous mass graves, some of which have since been destroyed by the Government to cover up evidence, and the families of the victims were left in the dark about the fate of their loved ones. Despite overwhelming evidence presented by human rights groups, the Iranian opposition, and even some Government insiders, the Government has systematically denied the massacre to the Iranian people and the international community. They’ve even gone so far as to launch a massive crackdown on those seeking the truth. No one has faced justice for their crimes and, worse still, many still have influence in Iran today, like current Minister of Justice Alireza Avaei, the Minister of Justice until 2017 Mostafa Pour Mohammadi, the current head of the Supreme Court for Judges Hossein Ali Nayyeri, and 2017 presidential candidate Ebrahim Raisi. 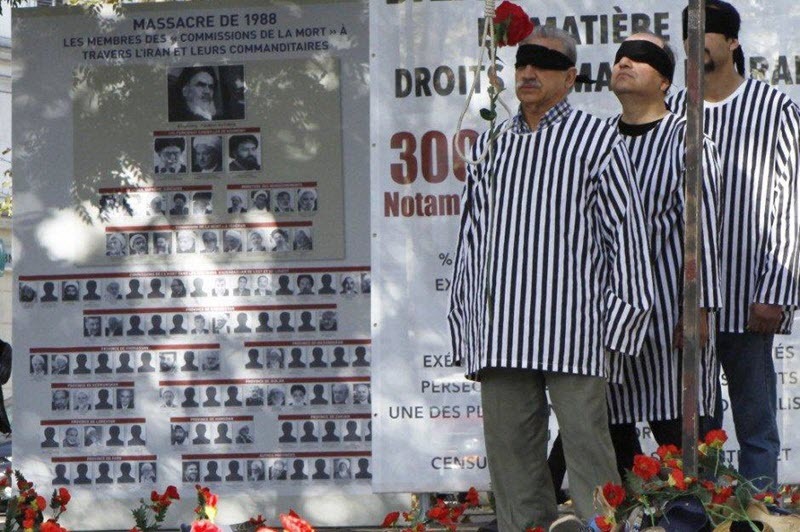 Amnesty wrote that the failure to bring the criminals to justice, in this case, makes the 1988 massacre an ongoing crime against humanity and so the international community is obligated to seek justice on behalf of the victims. It is therefore imperative that the United Nations and the International Criminal Court work together to ensure independent criminal investigations. However, it is equally important that bodies like the European Union do not ignore these atrocities, especially not when using the flimsy excuses of trade or the nuclear deal. EU High Representative Federica Mogherini should be less concerned with building a relationship with the mullahs and more concerned with helping the people of Iran, who are advocating for the overthrow of the mullahs.